I once had a conversation with Evelyn about our favourite Altenew inks. Lord knows there are SO many to pick from. For Evelyn its Caramel Toffee and Moon Rock. For me it has to be Morning Frost. It is without a doubt, the perfect grey. I used it on mass with the beautiful Floral Shadow Stamp Set to make a background to match my pattern paper. 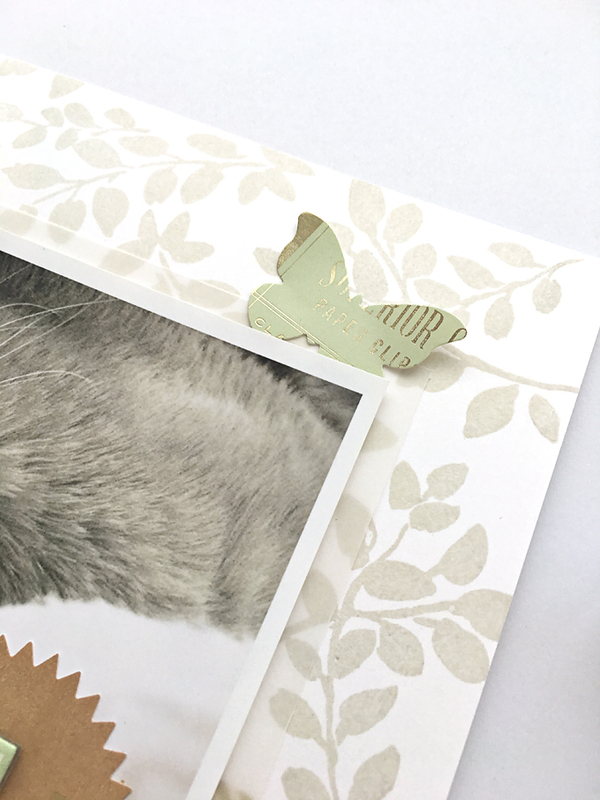 I love how well the ink transfers on to the Solar White cardstock. It’s always so clean and there is no bleed. I also framed my photo with Altenew’s fantastic vellum for a soft layered look. 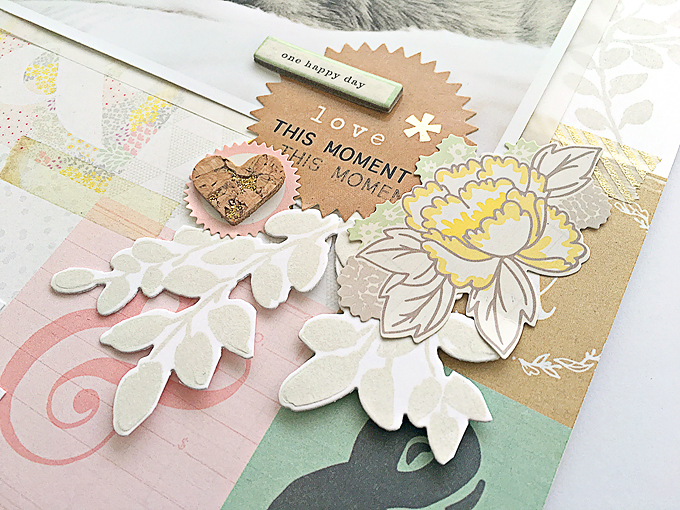 For my title I altered a crate paper sticker with one of the sentiments (This Moment) from the Floral Shadow Stamp Set. I love, love, love how it turned out. It totally unique and all mine. 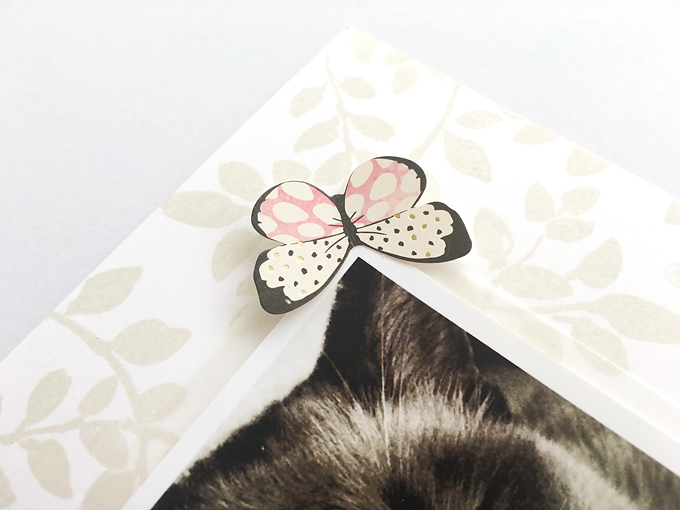 I then stamped out a few more Morning Frost Floral Shadow leaves and fussy cut round them (being careful to leave a white boarder for contrast against the pattern paper) to add as ephemera and tie in my stamped background. Aww, how cute! I love the pale colour tones used, such a lovely layout. By the way, I was just wondering when the August challenge winners will be announced? 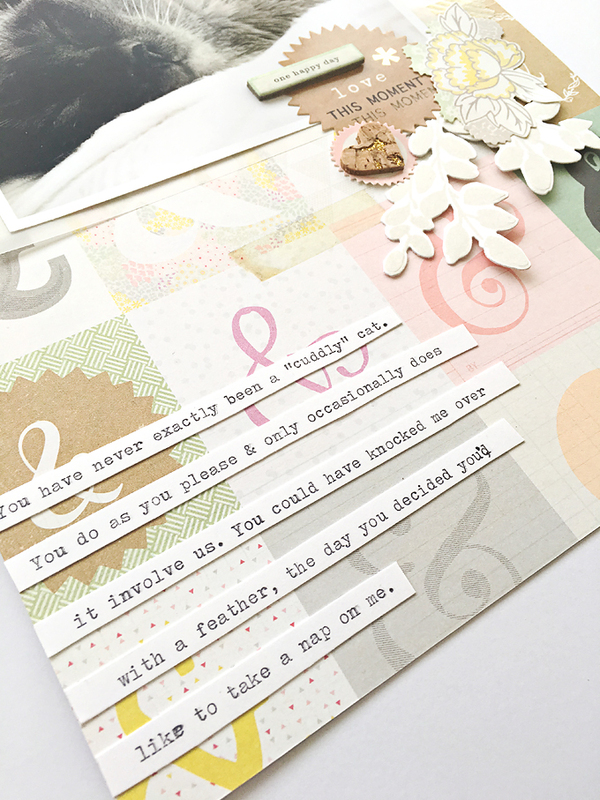 Your layout – “Love this Moment” and sentiments brought tears to my eyes. I know the feeling of a very independent cat but them. . . there’s that moment when they let their guard down and want to cuddle. Love it! 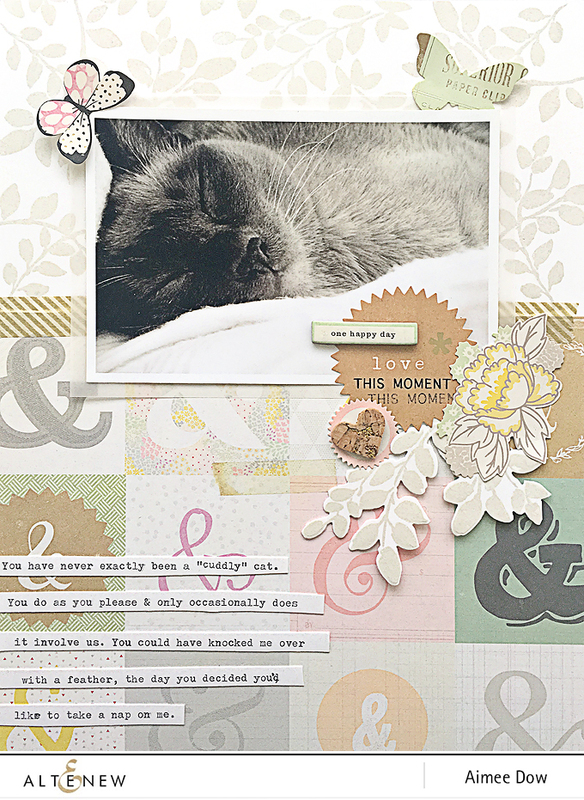 Love the layout and enjoy seeing a scrapbook page. Beautiful and great moment to capture. Love the soft palette, design and layers. Thank you!